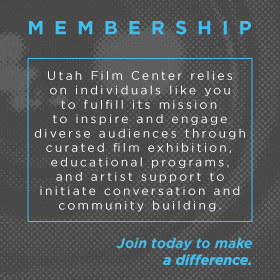 Mission Statement: Utah Film Center inspires and engages diverse audiences to initiate conversation and community building through curated film exhibition, educational programs, and artist support. Fiscal sponsorship is a fundraising tool, an alternative to establishing your own 501(c)(3) nonprofit organization. It broadens your opportunities of pursuing funding for your non-commercial film project by allowing your project to apply for funding from organizations that require non-profit status. WHY WOULD I WANT FISCAL SPONSORSHIP? Essentially, unless you establish your own nonprofit (which some people find difficult, time consuming and costly), you are not eligible for some grants from some donors. 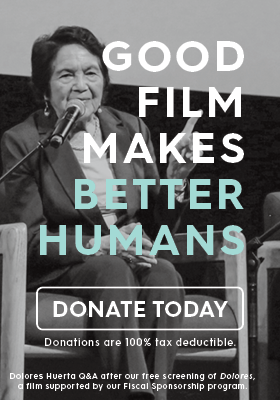 Our fiscal sponsorship program makes your film project eligible for these donors. Also, you get to keep your own business as a “for profit” LLC or otherwise. WHO MIGHT REQUIRE NON-PROFIT STATUS FOR MY PROJECT? non-profit tax exempt status as part of their eligibility criteria. CAN FRIENDS DONATE TO MY PROJECT AS WELL? In addition to foundations, corporations, and government agencies, fiscal sponsorship also allows you to receive charitable contributions from individuals. Your project may be more appealing to donors if they know they can get a tax donation receipt. DOES THE UTAH FILM CENTER HELP ME RAISE MONEY FOR MY PROJECT? No. You assume all responsibility for generating any grant proposals, applications, and all other aspects of fund raising for your project. 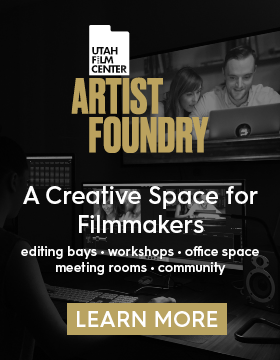 If your project is accepted, an administrative charge of six percent (6.0%) of all amounts paid to the filmmaker shall be deducted by the Utah Film Center to defray its costs of administering the fund and the grants. Additional charges incurred by the Utah Film Center also may be deducted from disbursements to the filmmaker. So you send donation checks to the Film Center, who returns 94% of this in a check to your production company. The Film Center also will deduct any additional costs for wire transfers, banking charges, credit card transaction fees, online donation processing or other such costs. Once the donation has been processed, we will send a donation acknowledgment to the donor. Keep in mind we will keep $6 for every $100 collected, so you might want to make the tax deductible offer to donations of $500 or more, because for less than that, logistically and financially it can be more complicated for both parties than it is worth. WILL IT AFFECT MY TAXES? We will issue a 1099 for the full amount to your production company. You are responsible for reporting your own income, expenses, deductions, etc. The Utah Film Center does not offer any accounting service for your tax returns. CAN I TELL PEOPLE THE FILM CENTER IS MY FISCAL SPONSOR? 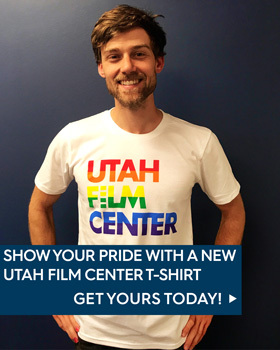 Once we have the agreements signed by BOTH parties, then you may note the Utah Film Center as your Fiscal Sponsor whenever you think it may be helpful to you. The Utah Film Center accepts fiscal sponsorship applications on a rolling basis. You may submit your application for review at any time. If approved, we will inform you within 4-6 weeks. WHO OWNS THE RIGHTS AND ASSUMES RESPONSIBILITY TO MY PROJECT? The Utah Film Center will not infringe on your creative control of your project, nor do we assume any ownership of the rights. You assume all responsibility and liability arising from or relating to the use, sale or other disposition of your project. Include the name of the film/project in the memo line. For questions, contact Sarah Mohr (smohr@utahfilmcenter.org) at 801-746-7000. We do not accept donations by credit card.